*As an automatic fuel customer of Sisters Oil Service llc, I have agreed to the following terms of the "Automatic Delivery Contract". Sisters Oil Service llc has agreed to supply fuel to my residence on an automatic delivery schedule beginning upon their receipt of this electronically signed and dated contract. On the day of your delivery, there will be no additional charge over the stated website price per gallon or any applicable conditions related to your automatic delivery. I, as the customer, understand that Sisters Oil Service LLC only delivers heating oil on a C.O.D. basis, which means the customer must provide for payment to Sisters Oil Service on the day of the automatic delivery. 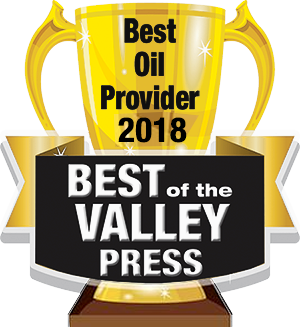 Sisters Oil Service, LLC will only provide automatic delivery to customers which provide for payment in advance of the delivery, i.e., check, cash, credit card. Copyright © 2019 Sisters Oil LLc. All Rights Reserved.